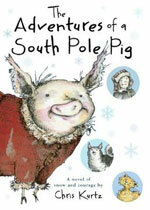 Here are two picture books that make anything seem possible. 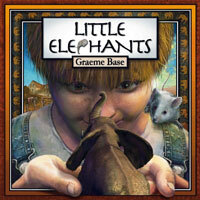 Little Elephants, by Graeme Base, Abrams, $16.95, ages 4 and up, 40 pages, 2012. When locusts threaten a boy's farm, a stranger appears with a magical horn that brings a herd of tiny elephants to the rescue. In this enchanting picture book, Jim and his mother are nearly out of luck -- their harvester is broken and a swarm of locusts is headed their way. But then something incredible happens. Jim sees a mysterious vagabond wading through the wheat stalks. Though the man cannot stay to help, he tells Jim the wind will bring good luck. That afternoon, Jim discovers a bullhorn left on the gate and as he blows into it, clouds of dust waft out and set off a wondrous chain of events. First, a wild mouse that Jim had let loose the day before returns to his bedroom with a surprise: A herd of toy-sized elephants scuffling under his bed. They're frisky and mischievous, and Jim tries to hide them because his mom doesn't want animals in the house. But then the locusts descend, and the elephants break cover and come charging out. They sprout wings and with trunks swinging, launch themselves at the locusts and drive them away. At last, the wheat is safe. But how will Jim and his mother ever harvest it? Base once again dips his pen into a magical place and gives readers something to dream about. Best parts: Nighttime scenes of the elephants racing around Jim's room on toy cars and frolicking in the yard with egg beaters and spoons -- and later, flying off with the stranger into the sunset. 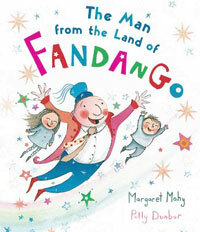 The Man from the Land of Fandango, by Margaret Mahy, illustrated by Polly Dunbar, Clarion, $16.99, ages 4 and up, 32 pages, 2012. A jolly man in a tricolor jacket leaps off a painting on a magical journey into make-believe, in this sparkly treasure by the late Mahy and her long-time illustrating partner Dunbar. After a girl and boy dab the last paint onto the man's portrait, he "bingles and bangles and bounces" off the picture and takes them on a musical romp with instrument-tooting animals. By the end of the picture book, the showman has danced on ceilings and walls, and taken the children bouncing on kangaroos and sliding down a wave of dreams. Mahy's rhymes skip and somersault across the page, while Dunbar's watercolors shout with glee. Characters smile with half-moon eyes and take trampoline leaps as stars and bubbles float about them. 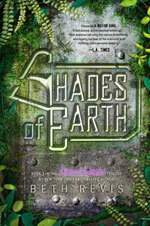 Every character in the story looks dizzily happy and that makes readers want to feel that way too. A wonderful farewell from one of the world's most beloved writers. Favorite part: Watching the man from Fandango leap into life and show us all that you're never too old to be playful -- "He comes in at the door like a somersault star" and dances around as merrily as chimney sweep Bert from Mary Poppins before popping back into his portrait.